A big warm hug. My fingers tightly wrapped around the bottom half of a steaming hot cup of tea. Long socks and comfortable ridiculously unattractive indoor clothes. Four hour long conversations about dreams, gender, health, politics, music, psychology and philosophy only interrupted by a need to sleep. This is my home. An air mattress that squeaks every time I roll over in a tiny studio apartment in a city that beats to the same rhythm as my heart. The untamed hills of a place where the influence of humans pales in comparison to the wild power of nature. A city on a bay, a street with more turns per block than any other. A red couch. A suburban house with a very adorable dog waiting for me, even on Skype. A 1927 edition house in a tree-lined, river-edge suburb. The departures and arrivals area of airports, flight number listed above and ticket in my hand. My largest-size-possible carry-on bag. The sensation of looking out at stretches of water in every direction while safely standing on shore. Sitting in the dirt in the middle of wilderness, taking in nature's sheer beauty. These places are all home too. When travelling, each new location becomes home. Each bed in which I sleep is my safe space for an evening. Each venue becomes second-nature. Each culture slides into my own. Each language and its lilt, the slang and the body language slip into my own just as a friend's hand might join yours when you experience something amazing together. Ghana was the first time I have ever felt truly home sick. Homesick for the simple things in life - for 'normal' food, for connectedness, for a world that I understood. It took the majority of the trip to feel as if I belonged and understood. It was a struggle. San Francisco, on the other hand, stole my heart, despite forewarning from a friend, in a matter of hours. There, I found everything for which I search. Social connectedness, a community of people who understand me, wild beauty so close to a large metropolis, a walkable city, tasty food and creative discoveries around every corner. Medicine. Health. A place where a little bit of hubris is perfectly acceptable. A smile at every corner. A friend for life. Home. Then, with 18 hours in a tin can, I was somehow back in the land of long socks and four hour philosophy conversations. A 19 hour time difference and a return on Valentine's Day brought me right back down to Earth from 30 000 feet. I wanted my red couch back. I wanted my 85 new, inspiring and innovative friends back. I wanted to be in a space where everything pushed me to be better. I wanted to go home. The tea cups and long socks didn't cut it. The comfort of my own bed, the many hugs from fabulous friends only served to remind me of what I was missing. The University environment suddenly felt claustrophobic instead of like a legal mind-altering substance. My world suddenly felt so small. I was homesick even though I was at home. It was only the other day, numerous complaints about feeling lost and hours on end invading the alone-time of all of my friends, that I started to feel like I belonged here again. That I started to feel like staying in one place for any period of time was acceptable. That I can be physically stationary but mentally mobile. That the world is still at my fingertips despite only one city being under my feet. 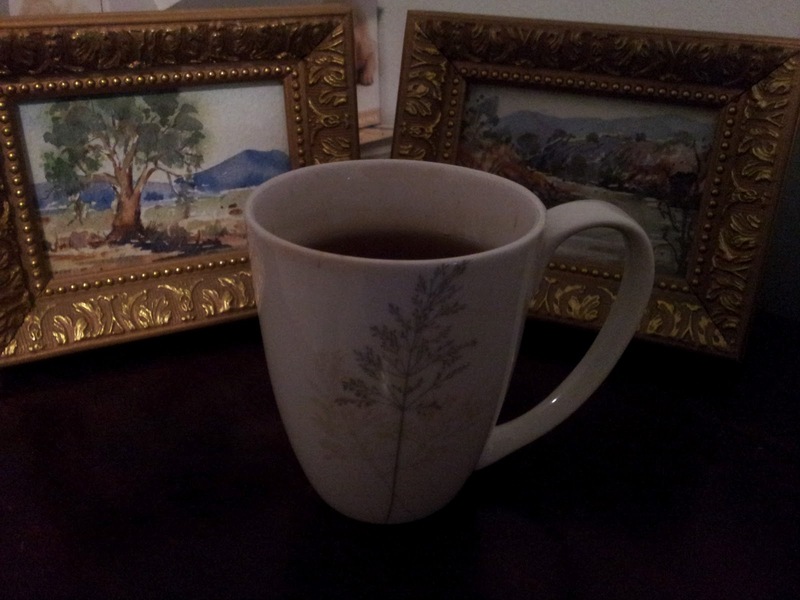 As I sit here with a brand new type of loose-leaf tea in a gigantic mug purchased abroad snuggled tightly in my hands, I remember that home is wherever I am. And that I can travel anywhere with the power of my mind. Tin cans aren't the only way to see the world. Good words: tin cans aren't the only way to see the world. They sure aren't.